In these troubled times, many of us are turning to God for help. But the question is, do we find the help we need when we pray? If not, then perhaps we do not know how to pray scientifically. 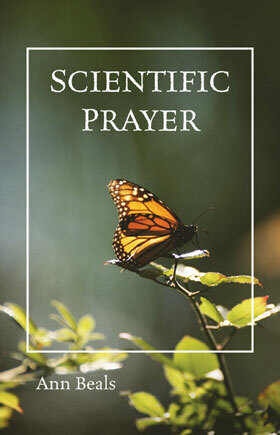 In this age of science and technology, very little is said about the scientific Principle of prayer — prayer based on an understanding of God, rather than blind faith. If spiritual healing is to be reliable, we must learn to pray intelligently. This booklet outlines how to do this. Included are the three laws basic to spiritual healing. “First, your thinking determines your experience. Second, your thinking can be spiritualized through an understanding of divine metaphysics. Third, this improved thinking must then manifest itself in an improved experience.” Mrs. Beals writes: “Christian Science is so infinite a subject and each person’s needs are so varied that the approach to this work must be individual. Each has his own path to follow and his own spiritual lessons to learn. Yet certain requirements in this work seem to be basically the same for most of us. To pray effectively, the following points need to be considered.” She lists six main points to successful healing prayer, and explains each point in depth Written in a simple style, this analysis of a scientific approach to prayer is practical, and can make the difference between answered and unanswered prayer.